The American Kennel Club recognizes that grooming is important to the overall health, comfort and well-being of pets. Setting the standard in groom safety to ensure these needs are met for all pets in the salon, the AKC is proud to offer the “Safety in Salons Certification Program” to groomers and salons. As reputable and quality pet care professionals, groomers should consider the safety and welfare of the pets entrusted to their care. The Safety in Salon course will review best practices focusing on pet care, health, and safety. Topics covered include accident avoidance, disease awareness, and sanitation. All groomers who attend will be eligible, at no additional charge, to become AKC Safety Certified Groomers and receive a frame-able certificate. This course is also an important part of the requirements for the AKC Safety in the Salon Certification. This salon certification gives salon owners a means to show their commitment to the health and safety of pets and in return receive valuable marketing support from the AKC. Groomers and Shop Owners, want to make more money this year than last year? Do you know how to give yourself a raise? What if I told you it is NOT by grooming more dogs. Sure, grooming more dogs could mean more money, but it also means more time, effort, and exhaustion. Come and learn how some very simple techniques can make you more money and save your health and sanity, all at the same time. Joe will identify some real life experiences that you can begin using the first day back from the show! This down-to-earth presentation lays out the three pillars every pet grooming business and their team must master: branding your shop, branding your team and branding your marketing message. The bottom line: perception is reality. In this session Melissa and Joe will present how creating positive relationships with clients and their pets will grow your business. 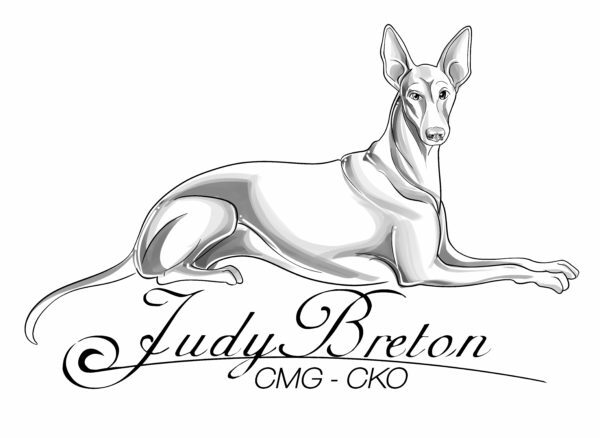 Creating a successful pet grooming business with a strong clientele is not a destination, it is a journey. The right message will create a healthy repeat clientele. The wrong message will leave gaping holes in your appointment book. Together Melissa and Joe offer plenty of positive ideas and strategies. Their concepts allow you to create your own branding platform. Their goal is to help you understand and implement the values of positive branding to build long-term success for you, your team and your business. Love thy customer…the good ones and the not so good. We all have them. You know who they are. You see their name in the appointment book and you begin to sweat. Just knowing they are coming in that day causes you to be distracted. Would it be fair to say that these questions could be true for the “not so good” customers as well as the great ones? Absolutely! These customers can be grouped into two categories: Promoters and Detractors. Joe will speak about how both can be helpful to our business and how we should approach every interaction with our customers to benefit our personal and business well-being. Need to update your salon but have a limited budget? Learn how to create an appealing salon design for your human clients. Mario will go over floorplans, layouts, and other creative ideas to help you create your dream salon. Your number one asset, and most important allies, are those who come to work every day. Finding and retaining engaged and enthusiastic team members eager to contribute are central to building customer relationships for sustaining growth and profitability. This seminar explores the essential building blocks of a great workplace. Topics include: strategies for attracting first-class employees, four main drives that impact employee motivation in a multi-generational workforce, and strategic management to maximize the potential for achieving your goals. Session includes a special handout: 51 Ways to Reward Employees Without Money. You are a brand. You are unique and worthy of becoming an influential power in the marketplace. Personal branding is essential for professional success. What’s the future of your brand? It’s time to take charge and to give serious thought and effort to imagining and developing yourself as a brand that builds identity, trust, and profitability. We will explore 4 key elements that serve as foundations for your personal branding. You’ll assess your USP (unique selling proposition) and feature-benefit models for communicating your identity and the value of doing business with you. You are in charge of your brand. If you want people to see you as a powerful brand, act like a credible leader. Learn to: grow yourself, promote yourself, and get the market to reward yourself. In this presentation, Mario will discuss: current product trends, merchandising, displays to help increase sales, what not to buy, and necessities for the lifestyle of today’s modern pet. Employee manuals are the lifeblood of your business. They help to set expectations and boundaries. In this session, Melissa will go over some of the key areas that need to be addressed in every employee manual. She’ll also give ideas on useful templates and programs that allow you to create your personalized company employee manual in no time. Are you launching, re-launching, or re-inventing your business? Why settle for what may be a costly trial and error approach. Although passion plays a significant role in the formation of a pet business, it’s not enough. Before you spend a dime, preplanning is a must. Goals can be achieved by focusing on your vision and mission followed by extensive research to assure that you’re on the right track. Important topics include: fundamentals of entrepreneurship, feasibility, industry research, competitive rivalry, target audiences, business and marketing plans, messaging, and your 14-step full-circle business system. 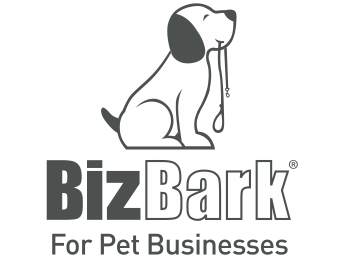 A sustainable, successful, profit-driven pet business is within your reach! Have you ever thought about the value of your regular customer on an annual basis? Melissa talks about easy ways to increase your revenue stream. She’ll talk about ways to help your customers take better care of their pets that suit their lifestyle – and yours! And, she’ll share with you how to do it without adding any new clients to your existing client roster. Do your clients understand and realize all the services you offer and how much they cost? Are you using “perceived value” as a selling point when bundling your spa packages? Do they even know what shampoo you use when they request that you wash and groom the dog? Are you treated like the Pet Stylist Professional you are? Come and listen to some innovative ways to earn more money and have your services practically sell themselves. Lisa and Donna will provide suggestions and ideas to market your business efficiently and effectively.